By comparing genomes of lab nematodes and another nematode species, scientists discovered that there is a gene that allows nematodes to recognize their kin. By recognizing their kin, these nematodes don't eat them but eat every other nematode that isn't. This gene is called SELF-1. However, when this gene was modified by CRISPR, the nematodes did not recognize their kin and therefore ate them. 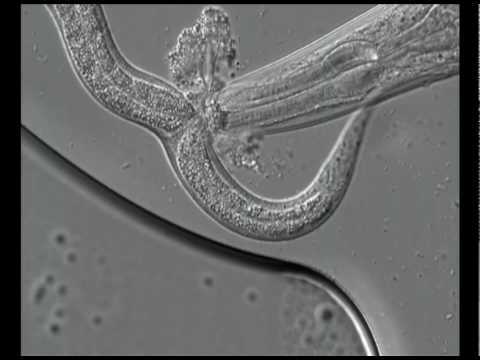 Upon further research, they found out that a part of this gene varies a bit in each individual nematode to differentiate even closely related nematodes. This is just one step in the direction of helping us understand self-recognition in other species.Unfortunately, there's still much more research that needs to be done with nematodes before moving onto other species. This could potentially be very fascinating stuff if it can be applied to studying other species.